Ventureneer webinar teaches entrepreneurs, small business owners, and nonprofit leaders how to increase their visibility on the Internet. Most people don't click through pages and pages of search engine results to check out every website offered up by Google. Your website has to be at the front of the line to get attention. This webinar explains how to do that. New York, NY April 5, 2010 -- Entrepreneurs and nonprofit leaders invest time and money to build great websites but they've taken only the first step toward web visibility. To attract clients, customers, and donors, an organization has to be found by search engines. Google can deliver visitors to a site only if it -- and other search engines -- can find it. Don't hide from the search engines: Help them. 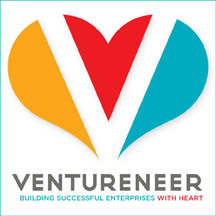 Ventureneer's free webinar, How Entrepreneurs and Nonprofits Can Make Search Engines Work for Them, reveals how an organization can become one of the top 10 search results in their brand, that is, be on the first page of that long list of search results. To be found quickly, an organization's website must use Search Engine Optimization (SEO) techniques. "Most people don't click through pages and pages of search engine results to check out every website offered up by Google," says Geri Stengel, founder of Ventureneer. "Your website has to be at the front of the line to get attention. This webinar explains how to do that." The free webinar will take place Wednesday, April 21, from noon to 1 p.m. EDT. Paid ads also enter the marketing mix these days as do social media, where people get recommendations from their friends and colleagues. Smart marketers, whether in business or nonprofits, want a presence in all these places. "Being 'found' by a search engine takes forethought and an understanding of new media," says Stengel. "With this webinar, we're trying to simplify the process." Google and the other search engines use information from a mix of website listings, real-time postings from social networks, videos, photos, maps, product listings, and more. An organization that wants to be found must create different categories of content and put that content on the web in a way that makes sure search engines find it. That means having the right "findability mix." The webinar will be taught by Veronica Fielding, CEO of Digial Brand Expressions, a leader in findability marketing solutions. DBE helps clients significantly increase sales through brand-aligned, integrated Search Engine Optimizations, paid search and social media marketing programs. Marketing executives from small businesses and nonprofits will benefit from the techniques taught in How Entrepreneurs and Nonprofits Can Make Search Engines Work for Them.